The 'IRA' is suspected of sending at least four parcel bombs to buildings in London and Glasgow, according to Scotland Yard. Both the Metropolitan Police and Police Scotland have both said they are aware of the 'IRA' claim of responsibility for the devices that were received at three buildings in London and in Glasgow on March 5 and 6. The devices in London were discovered at Waterloo Station, at The Compass Centre, an office building just outside Heathrow Airport, and City Aviation House, Royal Docks, Newham, which is located a few hundred metres from London City Airport. The device in Scotland was located at the University of Glasgow. Police in Britain confirmed that the parcel bomb that was sent to West London partly initiated when it was opened by staff but no-one was injured. They also said they were investigating a claim that a fifth device is still unaccounted for. Met Police said the claim was received on Monday, March 11, by a media outlet in the North using a recognised codeword. The claim was allegedly made on behalf of the ‘IRA’. 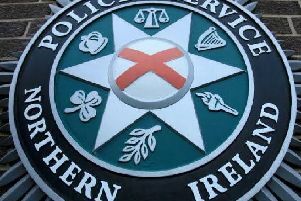 "Given the packages received last week bore similarities to devices sent in the past which were linked to dissident groups associated with Northern Ireland-related terrorism, officers were already looking at this as a line of enquiry. However, we continue to keep an open mind and enquiries continue. "We are also aware that those claiming responsibility have indicated five devices were sent. At this time, only four devices have been recovered. "Extensive advice has already been issued to relevant businesses and sectors to be vigilant for and report suspicious packages to police. This advice was previously sent to armed forces personnel and is being reiterated again in light of this claim. "We continue to urge the public to remain vigilant and report anything suspicious to police," said Scotland Yard. On Tuesday, March 5, at approximately 9.55 a.m. the Met Police received a report of a suspicious package at The Compass Centre, Nelson Road, Hounslow. The package was opened by staff at the building, causing the device to initiate. This resulted in part of the package burning. No one was injured. The building was evacuated as a precaution. Specialist officers attended and made the device safe. The Compass Centre is not within Heathrow Airport, and flights were not affected by this incident. At approximately 11.40 a.m. British Transport Police were called to reports of a suspicious package in the post room at Waterloo Station. The package was not opened. Specialist officers attended and made the device safe. No one was injured. The station was not evacuated however cordons were erected in a small area on Cab Road, outside the station. Train services were not affected. At approximately 12.10 p.m. police were called to a report of a suspicious package at offices at City Aviation House, Royal Docks, Newham. Staff were evacuated from the building as a precaution. The package was not opened and no one was injured. Specialist officers attended and made safe the device. Flights to and from the airport were not affected. On Wednesday, March 6, a suspicious package was received at the University of Glasgow. The package was not opened and no one was injured. The emergency services were alerted and several buildings within the estate were evacuated as a precaution. Specialist officers subsequently carried out a controlled explosion of the device. Detectives from the Met's Counter Terrorism Command are leading the investigation into the three packages received in London, whilst Police Scotland, under direction from the Crown, is leading the investigation into the package received at the University of Glasgow. Both investigation teams are working closely together to share any information or intelligence that could assist their respective inquiries. Suspicious activity can be reported by calling the confidential phone line 0800 789 321 or filling in a secure form at www.gov.uk/act. In an emergency always dial 999.